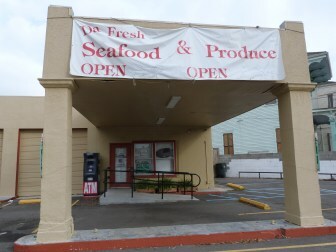 The big sign out front says DaFresh Seafood & Produce is open, but signs on the windows and doors say it's closed. Owner Doug Kariker said he's selling the store because it was too much work. The store received a low-interest loan meant to expand fresh food offerings in under-served neighborhoods. This story was updated after publication with comments from city officials.